Barça’s amazing 6-0 goal-spree at Mendizorrotza ended on the sourest of notes after Aleix Vidal was stretchered off in the final minutes. In a tussle down the wing, the right-back went to ground with what looked like a horrific injury to his right ankle. Barça had already made their three changes so saw out the rest of the game with just ten men, but that was the least of their concerns at that stage of the game. Afterwards, Vidal was taken to a hospital in Vitoria, where it was confirmed that he had dislocated his right ankle, an injury which required an operation to reduce the swelling. He is expected to be out for five months. 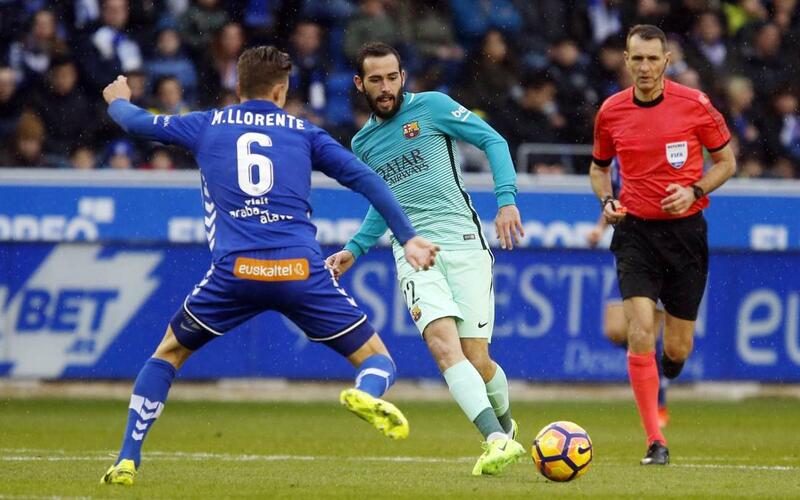 You can send a message of support to Aleix Vidal via social media, using the hashtag #ÀnimsAleix (which means, Cheer up, Aleix! in English).